Double the intensity, double the efficiency. The Platinum LED Advanced P450 is here with better PAR and lumen values. 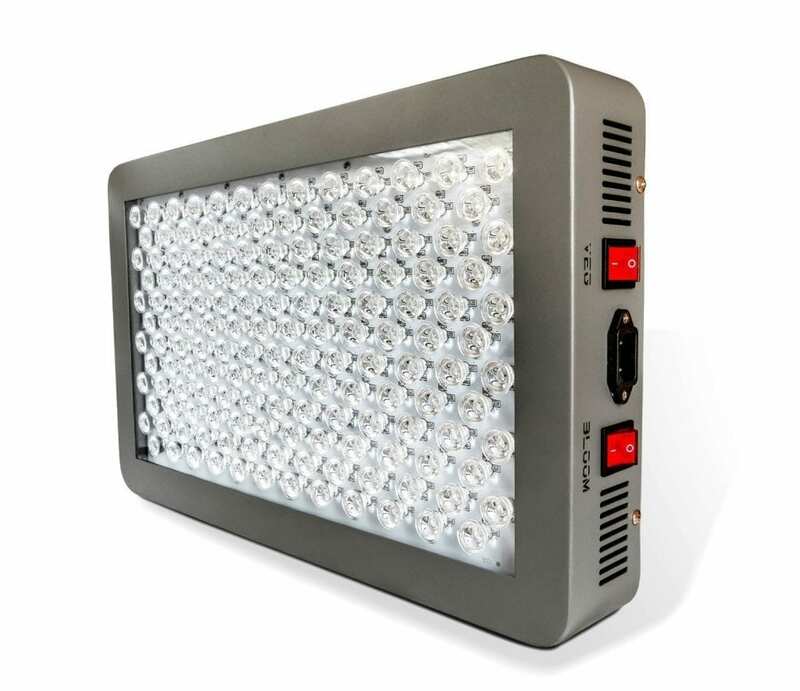 This is a great LED grow light with a full-color spectrum ideal for indoor growing. The Advanced Platinum P450 has better coverage as well as efficiency, and it replaces a 600-watt HPS. Known for its durability, it has other amazing features too. Read on to find out. We reviewed the best 600w LED grow lights and have put them all together in this article. For who is the Advanced Platinum P450? Advanced platinum P450 packs the features wanted by growers. Furthermore, it comes with a complete spectrum, that delivers high performance and produces great yields. Giving you the exact amount of intensity with a tuned light spectrum, this LED grow light is a wonderful choice for its price. If you’re a professional grower and are looking for a reliable grow light with a great full spectrum, the Platinum LED P450 is for you. Advanced platinum P450 has a soothing gray cast. Moreover, it is a well-built lightweight light with a string framework. 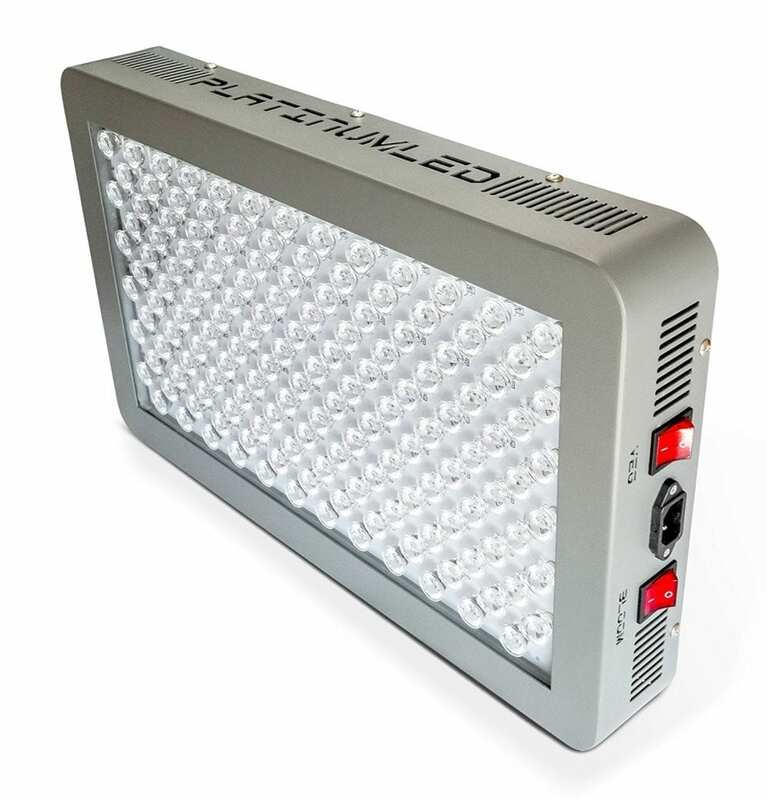 The Platinum LED P450 has a professional look, and it gives a good focussed light on the plant. Advanced platinum P450 is equipped with a 600w light. As a result, this gives a high value of PAR and Lumen output per watt. In addition to this, it offers the highest PAR value compared to other LED grow lights in the market. Its intensity is 2x-3x times the intensity of the other regular LED grow lights. 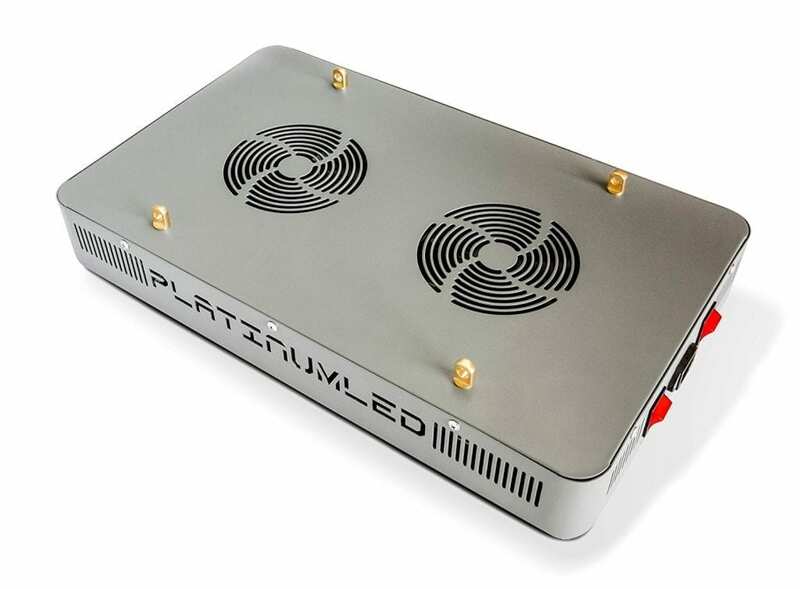 The Platinum LED P450 is a replacement for a 600w HPS while consuming only 137 to 255 watt. This makes it an energy efficient choice for professional growers. Full spectrum availability is what sets the Advanced Platinum P450 apart too. Firstly, it has a 12–band full spectrum range. Secondly, it has UV and IR spectrum range that is required for the veg and flower growth in all stages. The Platinum LED P450 replicates exactly the right spectrum that a plant needs for photosynthesis. The coverage is of this Advanced Platinum P450 is awesome as well. Furthermore, it has a coverage area of 4.5’X4’ square feet for veg and for flowering. Perfect for a 4×4 grow tent. This makes this led grow light an ideal choice for vegetable and flowering stages. The coverage is best at a height of 18’’. Advanced platinum P450 has a built-in cooling system with quiet fans. The upgraded cooling heat sinks maintain a low temperature while the LED light operates. The Platinum LED P450 has 2x high-speed fans, which work smoothly and keep the temperature level low as well. This LED grows light is backed by a 5 years warranty. Outperforming the cheaper LED lights, Advanced Platinum Series P450 has ultra-power and high efficiency. It is ideal for growing cannabis with a full spectrum light. 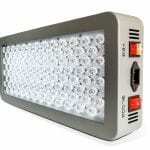 This makes it a better choice for those looking for LED grow light at a fair price. Do you want to see a comparison between this Advanced Platinum LED P450 and a normal 600 watt HPS? Check the video below! All in all, this would be a budget-friendly choice with a good amount of wattage power for every professional grower. The full spectrum is impeccable and the Platinum LED P450 is really high-end overall. 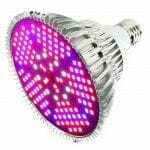 The cooling capability along with the high efficiency will make you go and buy this LED grow light. 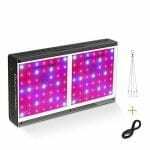 Overall, it has a high intensity compared to many other LED grow lights and it outperforms any other cheap light on the market. Are you interested in tools for your grow room? Check out our reviews on the best PAR light meters, bud trimmers or hydroponic systems. Looking for a different light in this series? Check out the P300 or P600.